So You Think You Can Mom? : Disney Infinity 2.0 News! Guess who is joining the Disney Infinity 2.0 family?!?!? Are you dying yet? I AM!!! I absolutely adore Stitch and so does Jackson! I don't want to tell him yet because I'm hoping to stash Stitch under the tree for Christmas. It's not like my kids actually read my blog! I know Mya would love to add Tinker Bell to her collection of awesome Disney females! Disney Interactive announced that Stitch and Tinker Bell will join Merida, Maleficent and all of the characters from Disney Infinity and Disney Infinity: Marvel Super Heroes in Toy Box 2.0 this Fall. 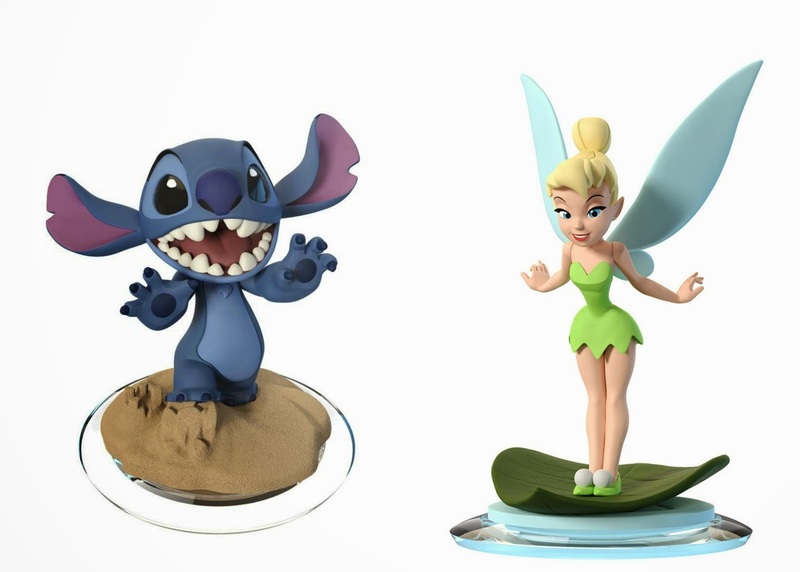 As two of the most requested characters by the Disney Infinity fan community, Stitch and Tinker Bell will deliver their unique brand of magical, mischievous fun to Toy Box 2.0. Players will be able to create all-new adventures featuring the entire collection of characters from across the Disney Infinity universe, along with hundreds of Disney and Marvel-themed items, locations, props and vehicles. Stitch: The lovable “experiment 626" from the popular “Lilo & Stitch” films comes to the Disney Infinity Toy Box 2.0 along with his trusty cosmic blaster and the ability to super jump to galactic new heights. Tinker Bell: One of Disney's most iconic characters, Tinker Bell enters the world of Disney Infinity with her magical healing Pixie Dust and the ability to glide to the stratosphere for fast-flying action.